Neil Harman Tennis Correspondent. NOT GOOD NEWS! 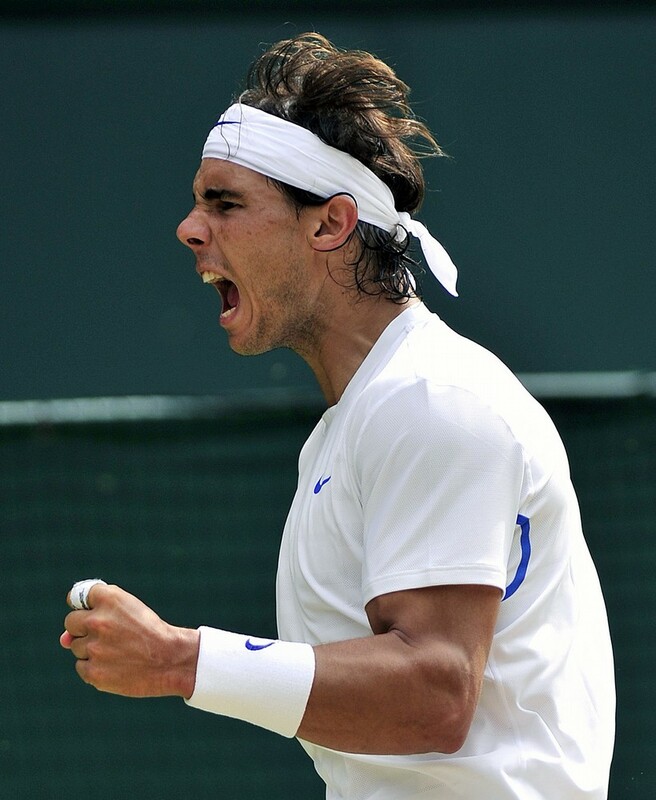 Although The Times has learnt that Nadal had a hairline fracture in the left foot that he hurt against Juan Martín del Potro in the fourth round and may not play for six more weeks, he put up no excuses for his defeat, his third in five Wimbledon finals. As ever with Nadal, he accepted defeat with humility and honesty, although he was hurting inside. The 25-year-old would have won his eleventh grand-slam and moved to within five of Federer’s total of 16 had he won. Now he has to accept that he is second best in ranking terms again. “We can analyse that my game is not bothering him,” Nadal said. “We have to find how I can bother him. I did in the past. He’s in the best moment of his career. I am in one of the best moments of my career, but still not enough for him. I have to play longer. I have to play more aggressively. I have to have less mistakes. Nadal had already decided that he would not play in the Davis Cup World Group second-round tie away to the United States in Texas this week, but if he has to take six weeks off, he will have little practice on hard courts before he opens his US Open title defence next month.